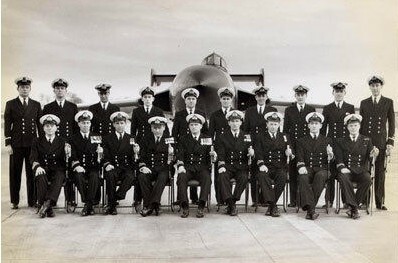 More Photographs with aircrew names within 890 Sqn Image Gallery. Archive: Flt Lt David Foster RAF. Original Squadron Member. The following Video clips are from 1960 and 1961, the first year of 890 Sqn, showing Flying and MADDLs at RNAS Yeovilton, Deck Ops on HMS Hermes including deck trials (believed to br 700Y Sqn Side Number 453), and the Mass Fly Past at the Farnborough Air Display 6/10th September 1961.